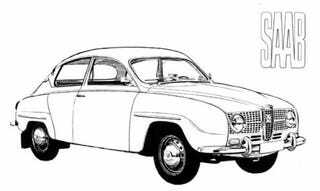 According to a Trolhattan Saab tipster offering alleged insider information, Saab is building a small 9-1 as "a style icon for the Saab brand." According to the tipster, the GM's shined its green light, and the supposed Mini fighter is "guaranteed" for production. This whole upscale "urban" car genre is exploding anyway — what with the Mini, Volvo C30, BMW 1-Series and reported Audi A1 (or 2). Will Saab see this vehicle as an opportunity to gain back its original rally cred, or might we expect a rebadged Opel Astra with a console-mounted ignition switch and supple leather? Uh oh. Kappa Expansion: Saab Sonett a Go?